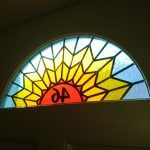 Thinking of ordering one of our glass designs with another company? 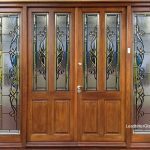 From time to time, window and door companies attempt to copy our glass designs and sell them on to customers without our permission or knowledge. If you are planning to order one of our copyrighted glass designs from another company without our knowledge or permission then this will be a breach of our copyright and legal action will be taken against you and the supplier of the glass designs. 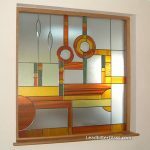 In recent years Leadbitter Glass has discovered a handful of companies around the UK copying our glass designs to sell on for themselves and/or to be created on the request of their clients. In every case that is brought to our attention and every case we discover, we will take legal action until the matter is resolved. 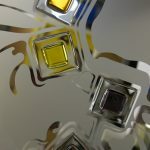 After a judgement, all legal costs incurred by Leadbitter Glass during litigation would be paid for by the defendant and the ‘copied’ glass designs would be requested to be handed over to Leadbitter Glass once the case is settled. Have you paid for a design to be created by our studio? 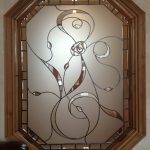 If you have paid for a design to be created for you, we still own the copyright for that design so if you decide that you do not want to place a full order, you cannot order that glass design with another company unless you get our full written permission. 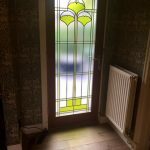 Before you go ahead and order one of our glass designs with another company why not ask us for a quick quote for delivery of the glass designs. You may be surprised how competitive we are and more importantly you won’t be breaking any copyright laws. 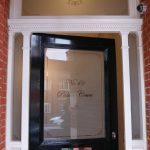 We deliver decorative glass anywhere in the UK and we can even liaise with your window or door supplier and deliver the glass directly to them. 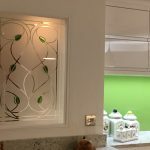 Another good reason why you should order the decorative glass with us is the fact that we are probably the UK’s premier glass studio and all of our glass artists are professional glass artists with at least 15 years experince in creating beautiful decorative glass panels. Some window and door companies use inexperienced staff to try and copy glass designs all with the aim of saving money by keeping labour costs down to a bare minimum. 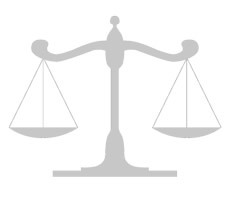 The use of our images and designs in brochures, websites or other media is strictly forbidden and companies or individuals displaying our images in whole or part for their own uses will face the risk of their website being closed down by the server owners and a damages claim in the courts. 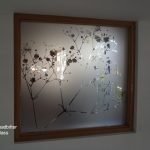 From time to time Leadbitter Glass may allow use of some images and this is reviewed on a case by case basis so contact the studio to enquire about using our images. If you have spotted any of the images appearing on our website, being displayed on any other website please contact us here to inform us of this. Your details will not be forwarded to any company or individual and all of your details will be kept secret.